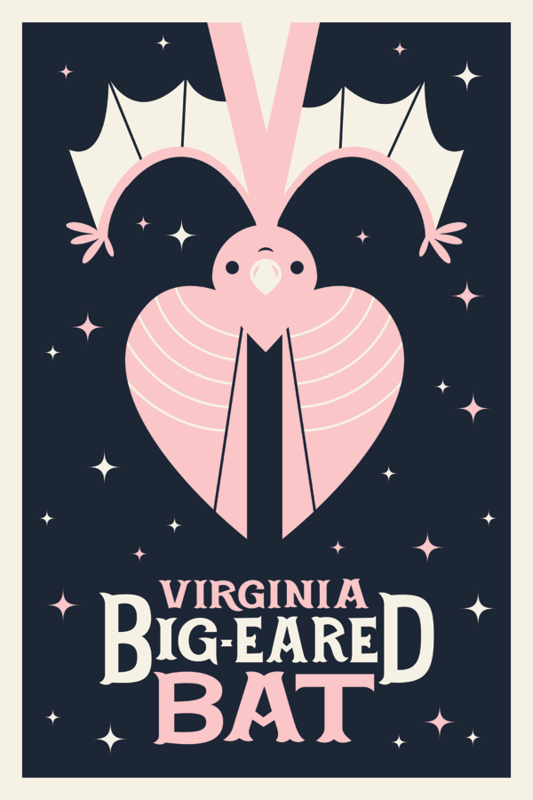 The virginia big eared bat is an adorable flying puffball whose population has sadly been in a steep decline due to disease, nosey people, and sports with goofy names like "spelunking." When most people think of bats they think of dracula's or cape crusaders but with this piece we wanted to show the friendlier side of these peaceful cavedwellers. Upside down or rightside up the sad truth is the bats are disappearing and we hope that this homage to them will help make more people aware of what we will be missing out on if we allow these flying friends to vanish.